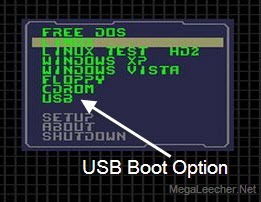 I have written about creating bootable USB disk using free software, but it is of no use if the motherboard or BIOS does not support USB booting, if you are stuck in a situation where BIOS does not support booting from USB or CD-ROM, free boot-manager PLoP would be the best solution for the problem, the easy to use boot manager can work with your existing boot-loader and even without the need to install on hard-disk. PLoP Boot Manager can launch from floppy, CD, network or existing boot manager like LILO, GRUB, Windows boot menu and DOS, once launched you can use PLoP to boot from USB and CD-ROM even if BIOS does not support these options. To use PLoP from existing Windows Boot Manager on Windows 2K, XP and VISTA, Download PLoP Boot Manager and follow the procedure described inside the zip file or at the official website here. and I love you. this will help with my pII laptop, thanks. Now can USB boot my PII. u simply revitalized my machine.... :) thanks a lot.. Very nice find... thanks for sharing! Sadly, PLoP won't boot a USB CD/DVD drive though. Whats An Alternative That Works? I've just stubled upon this site, could I just copy the technical articles from the site or do I need some kind of permission?. I'm writing a project for school. It is not able to boot from a USB drive, connected via a PCI USB card on a Tomato 810 motherboard. May be it is due to the PCI card being uncompatible. same drive works fine on my laptop while booting from it. Plop says booting from USB and correctly detect HP v220 USB drive. But no progress there on, I formated the drive with NTFS also still the same. Trying to install OpenELEC on PIII, no cd iso available for this. This is to all of you for which this isn't working! What 'simple bat file' smart a**e? Then the PC hangs. It appears that PLoP is confused by the presence of my 4 in 1 SD card reader. There are other boot loaders like GRUB that claim to boot from USB sticks, but I wonder if they will be affected by the card reader similarly. On dell m1330 with latest bios all I get is black screen with text 'Freedos'. Tried many usb pen drives. You need to install a operating-system like Windows and Linux for graphical interface. Your laptop came with FreeDos command-line OS only. "Burned" to usb pendrive the SeaTools for DOS cd image. Booting froze on dell m1330 and i didn't find solution. Tried on another computer. Worked there but not on dell.